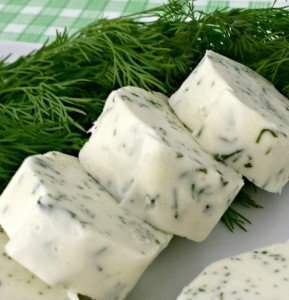 This Dill Butter Recipe combines dill, garlic and lemon with butter to use as a special flavor enhancement for a variety of foods, limited only by your imagination. I love to use this butter recipe. I use it as a spread on certain crackers and breads, but it can be melted and tossed with a variety of vegetables such as garden fresh green beans, carrots, peas, asparagus and many others. 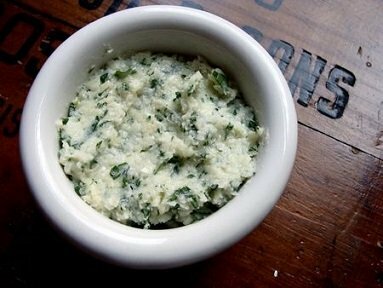 You can add this butter to a combination of items like Beans Almondine or Peas, Baby Onions and Bacon Bits. It is fabulous! 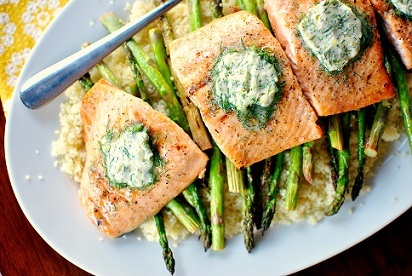 The Dill Butter is also absolutely perfect with almost any kind of seafood available. 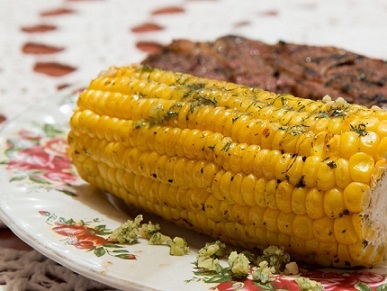 This butter recipe is a favorite restaurant recipe. This first recipe is for more than you will need on any one occasion so the beauty of it is to make one large log and then separate it into smaller pieces, wrap each in parchment paper or wax paper and store the smaller logs in the freezer to use whenever needed. But I have a smaller recipe below in case you want to try a smaller amount or do not have the freezer space. 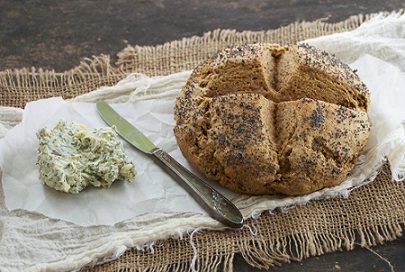 The other beautiful thing about this butter recipe, and many others on the website, is that it is an easy and quick recipe. You will be able to turn the ordinary into the extraordinary! What a great cook you are! You're a CHEF! Preparation time: 15 minutes. Makes one large rolled log (about 20 portions). Enjoy your restaurant Dill Butter Recipe (and your new apron) and the company of those you share it with! Did you know? Compound butters are simply flavored butters, typically made by mixing in herbs, liquids, or spices with butter.